HomePyeongChang 2018 is coming! Fighting! If you have visited South Korea this year, you should have seen a white tiger and an Asiatic black bear (as shown in the above photo) in the streets and on the TV. 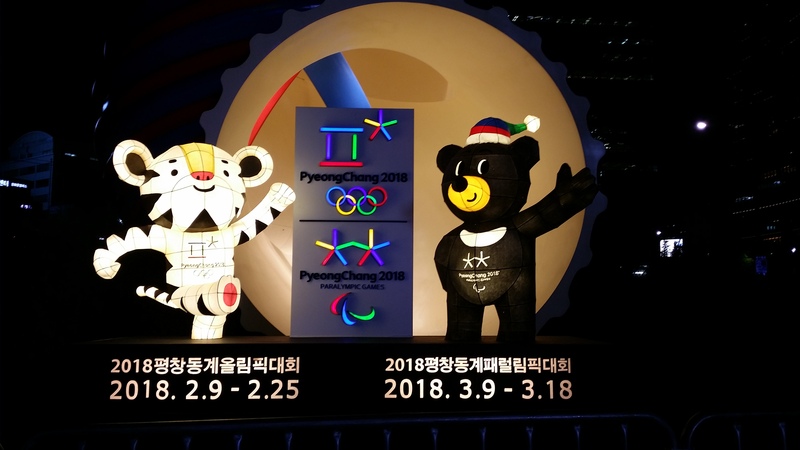 They are the mascots of the PyeongChang 2018 Winter Olympics (평창 동계올림픽대회) and PyeongChang 2018 Paralympic Winter Games (평창 동계패럴림픽대회). In fact, the South Korean government has put in a lot of efforts to promote these important events to be held in South Korea in 2018. Let’s talk about some interesting things about these events in this blog post. The 23rd Olympic Winter Games 2018 will be held from 9 to 25 February 2018 and the Paralympic Winter Games will be held from 9 to 18 March 2018 in PyeongChang in the Gangwon Province in South Korea. This is the first time the Olympic Winter Games and Paralympic Winter Games are held in South Korea, following the hosting of the Seoul Olympic Games in 1988. 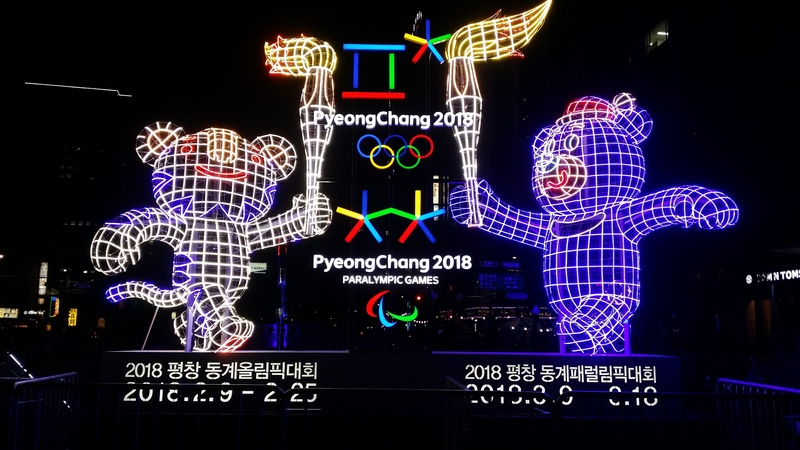 There are several venues for the these Winter Games: the opening and closing ceremonies and most of the snow sports will be held in PyeongChang, the alpine events will be held in Jeongseon, and the ice sports will take place in Gangneung. The design of the medals of the PyeongChang 2018 Olympic Winter Games has incorporated the following Korean representative elements: (a) Hangeul (the Korean alphabet) – when viewed from the side of the medal, you can see the consonants in ‘평창동계올림픽(PyeongChang Olympic Winter Games)’, i.e., ‘ㅍ,ㅊ,ㄷ,ㄱ,ㅇ,ㄹ,ㅍ’ ; (b) Hanbok (the traditional Korean clothing) – the strap of the medal is made of a traditional high quality Korean fabric called gapsa, and the PyeongChang 2018 wordmark and the Olympic emblem are stitched on the strap using Korean embroidery technique; and (c) Hanok (the traditional Korean house) – the cover of the wooden case of the medal has incorporated the simple elegant curves of Hanok’s eaves. You may note that the “c” in the English name of PyeongChang is in upper-case. This was changed from lower-case to upper-case to avoid foreigners from mistaking PyeongChang (located in South Korea) for Pyongyang (the capital of North Korea). In fact, in 2014, a Kenyan representative invited to attend a UN conference in Pyeongchang mistakenly flew to Pyongyang where he was detained for 5 hours by the North Korean immigration officials and was released after paying a US$500 fine. So, if you are going to PyeongChang to watch the Games, please ensure that you don’t mistakenly book the flight to Pyongyang!